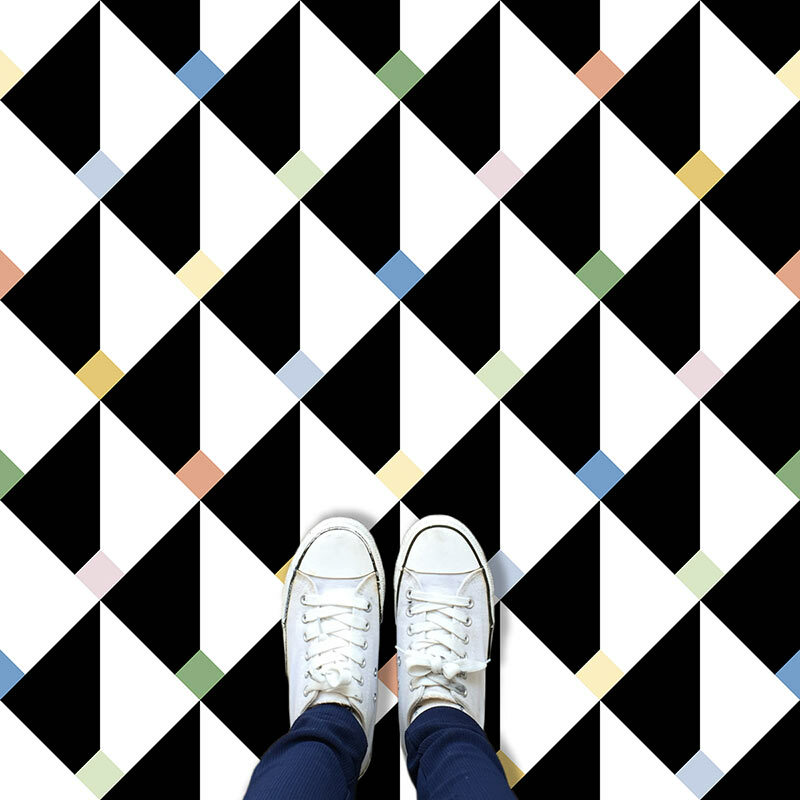 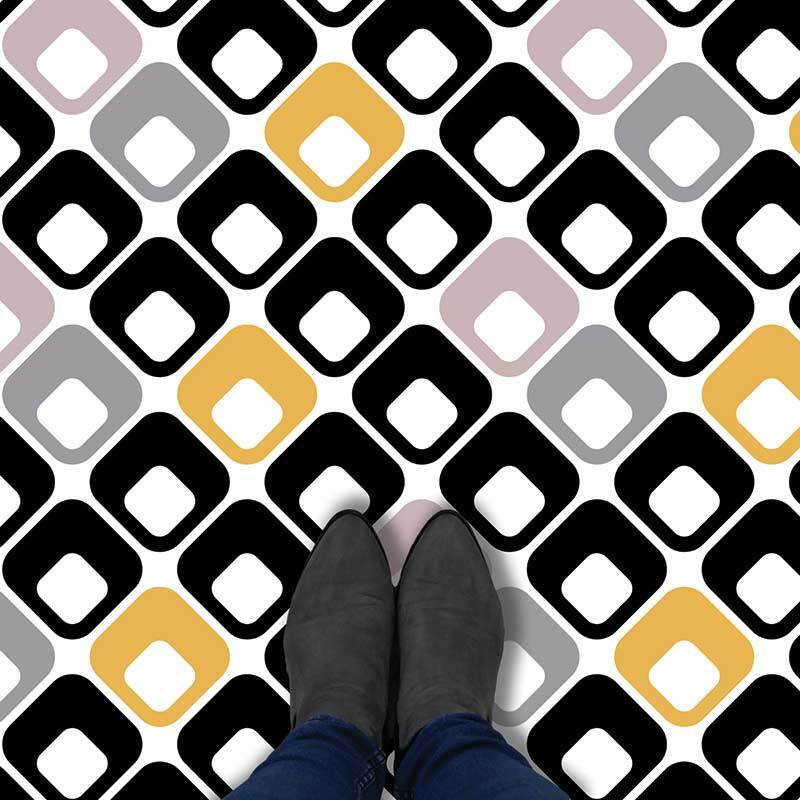 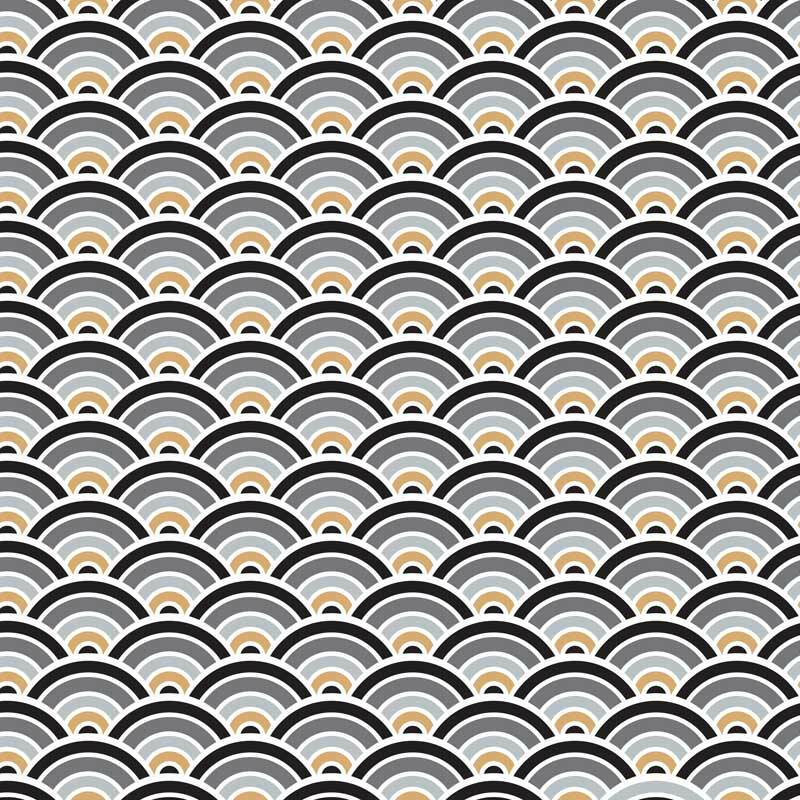 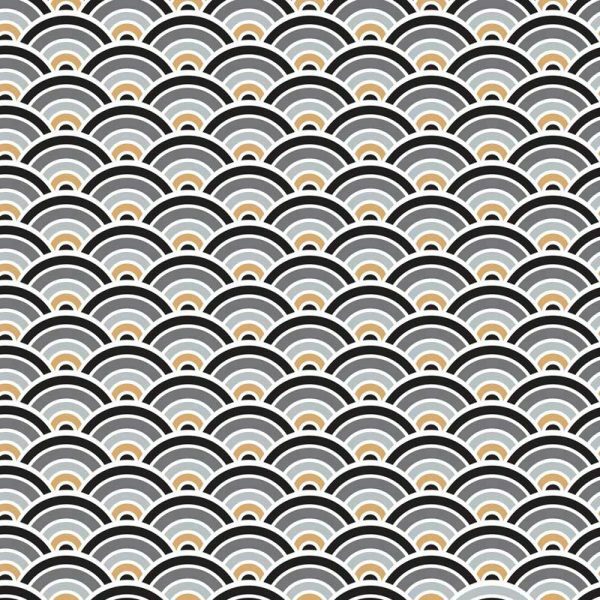 Part of our new Black and White Geometrics range, Belmont is all about bold lines and sharp shapes along with a dash of charcoals and mustard. 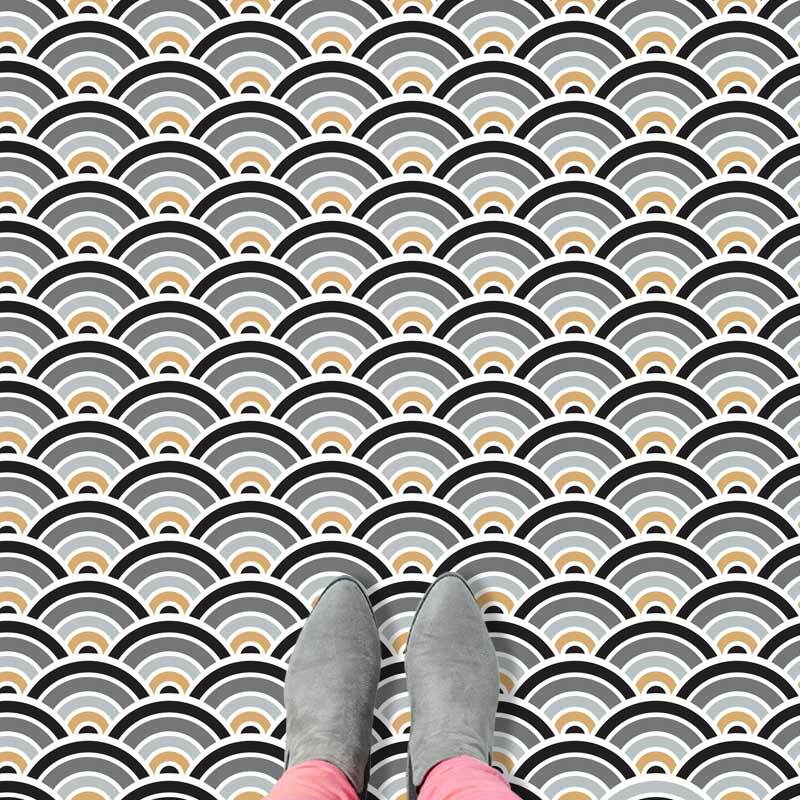 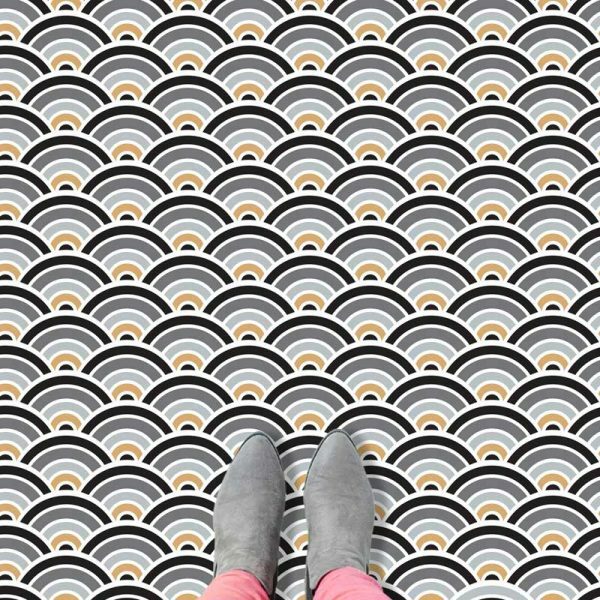 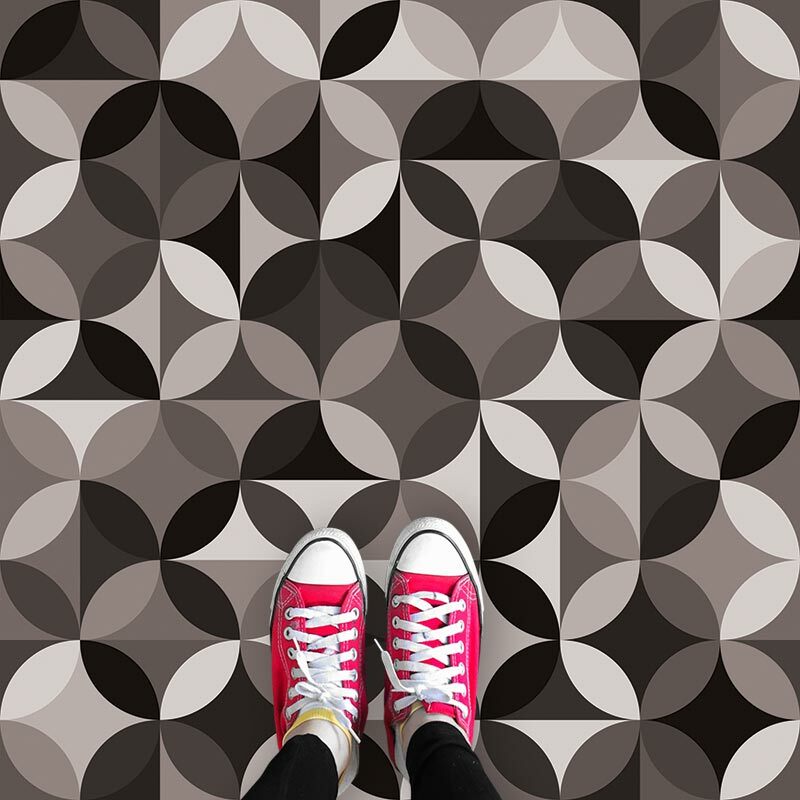 Created to add grandeur and charm to whichever room in your home needs a unique patterned vinyl flooring. 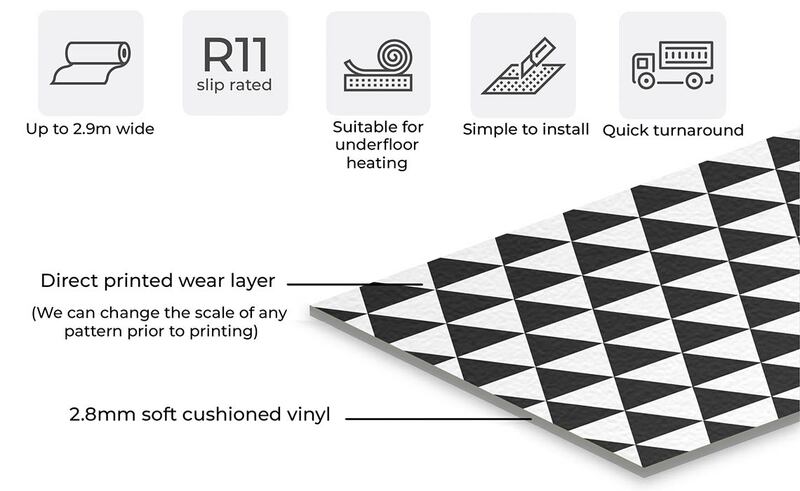 Individually made for your space at up to 2.9m wide and ships in around 2 weeks.